Here’s an interesting tale from Australia that shows where the line between state- and nation-regulated gambling services and private third-party operators may well be drawn: Australia’s Northern Territory has announced it will implement a ban on private companies offering wagering on lottery results. The general ban is aimed primarily at Gibraltar-based Lottoland, which allows gamblers the world over to bet on the results of more than 30 country’s official lotto drawings. The pending ban was announced by the Northern Territory’s Attorney-General Natasha Fyles. 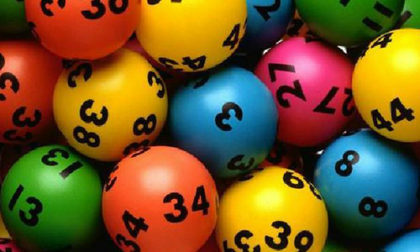 The ban forbids any Northern Territory-licensed operator from accepting bets from private operators on any Australia-based lottery, and its primary target is the giant of such “synthetic lottery” services, Lottoland. “I have listened to concerns and I’m taking action,” added Fyles. Lottoland’s official Aussie outlet, Lottoland Australia, announced that it will comply with the pending ban. Lottoland and other synthetic-lottery operators have been under pressure around the globe, though perhaps most sharply in Australia. Government officials in New South Wales, Tasmania and Western Australia have also pursued ways to curtail the operations of Lottoland and similar firms. Services such as Lottoland might be the most obvious flashpoint in the ever-expanding battle over government regulation of international and online gambling. 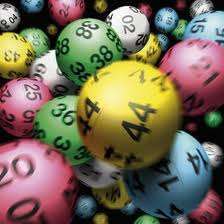 The Australian territories each claim sales declines of several percent due to the intrusion of synthetic-lottery sites, which can simply offer their own sales of numbers, to be matched against whatever real results the state-run lotteries provide. In some ways it’s a modern twist on the old numbers rackets that once proliferated in large urban cities around the globe. Now as then, official national- and state-run lottery services contain huge house edges for the jurisdiction, but they also include the overhead of running and advertising the lottery service in the first place. Synthetic lotteries such as Lottoland are quite effective at cutting out the middleman, and they can even offer lottery-based gambling opportunities that aren’t even available in the official drawing. Synthetic lotteries are also among the most direct challenges to any government’s gambling offerings, unlike casinos or sports betting or other activities, which involve betting on non-governmental events. When one steps on a government’s toes in such a direct manner, as in Australia, it’s little surprise to see the government push back hard. Regarding the pending Northern Territory ban, Lottoland Australia has announced its intent to comply with the new rules. According to the company’s CEO, Luke Brill, the firm will stop taking bets from Aussies on Aussie-lottery draws, even though it plans to continue to allow the nation’s bettors to wager on similar draws run by other nations’ official lotto services. The same seems to hold true in reverse: Lottoland will likely still allow its customers in other countries to continue to buy synthetic tickets based on Australian lottery results as well. That’s called edging toward the precipice. Virtually all of the countries whose results Lottoland and other synthetic-lottery results pirate claim these companies are operating in an illegal space. Whether or not they are, changes in regulatory reach such as this move by Australia’s Northern Territory are likely to have a cumulative effect. It’s relatively easy for official state-run lotteries not only to declare them open only to their residents; most already do this, though such provisions are generally ignored by synthetic-lotto operators, under the guise that these sites aren’t selling official lottery tickets, but are instead just wagering for similar stakes on the results of those lotteries’ official draws. Such artificially-drawn legal lines seldom endure. And the next step down that road of government pushback involves trade deals between jurisdictions regarding lottery play and service eligibility, in the same manner online-gambling firms licensed in white-label jurisdictions are forbidden to offer those services in grey or black markets. All that spells a dim future for synthetic-lottery operators, several of which operate prominently within the EU as well.